If you’ve heard that social media doesn’t work as well in Business-to-Business settings — don’t believe it. We had 44 entries this year, and picked the winners you see here — just as impressive as any consumer application. 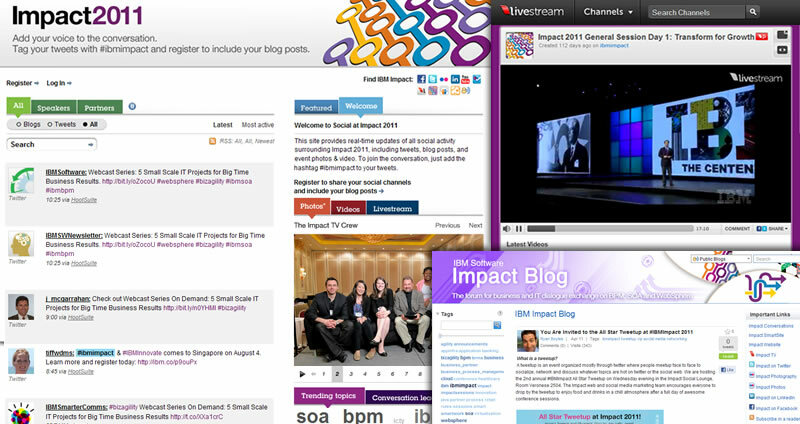 The Web and Social Media team for IBM WebSphere software leveraged social media to drive registrations and enhance the value of attending the brand’s major conference, Impact 2011. The team spread the news through the most effective avenues: attendees, fans, and influencers on Twitter, blogs, Livestream, Flickr, and Slideshare. IBM leveraged the reach of 147,000 followers to spread the word via Twitter. This helped exceed its registration target by 33%. Additional social media and live streaming extended the conference to more than 8,000 viewers from around the world, effectively doubling the event audience. Zocalo developed the Trade Secrets campaign to introduce the Vostro V130 a laptop designed for small business. Zocalo identified 150+ Influencers in the US and UK, with areas of expertise ranging from entrepreneurship to social media to technology and distributed Vostro V130 laptops to enable hands-on interaction with the product, energizing SMBs to share recommendations and encourage trial among others. Two SMB consultants hosted separate 1-hour Tweet chats asking people to tweet advice for making a positive first impression; eight SMB, Social Media and Tech experts “road-tested” and wrote reviews of the Vostro V130. This campaign also delivered 82 individual blog posts featuring the Vostro V130 and/or the Trade Secrets campaign, 300+ attendees at two Dell-sponsored, offline events, 1,647 tweets containing #tradesecrets, and 5,086,230 total earned digital impressions. 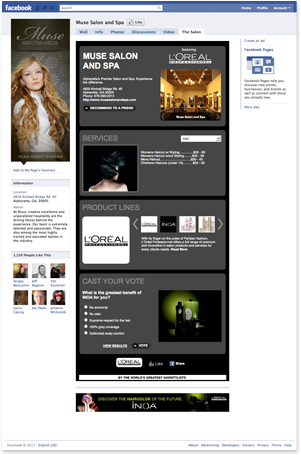 The Salon Facebook Program allows L’Oreal brands and their salons to partner in a marketing and communication effort. L’Oreal partnered with Buddy Media to provide a set of tools with which salons could begin enhancing their Facebook Pages, allowing L’Oreal to measure traction and furnish content for all of its salon locations. By year-end, the combined salon participation is estimated to exceed 6,000 salons reaching approximately 1.7 million clients. Combining brand reach and assuming weekly outreach to this audience, the current eCPM is $8.91 with a projected $3.04 eCPM by year-end, far below magazine advertising. 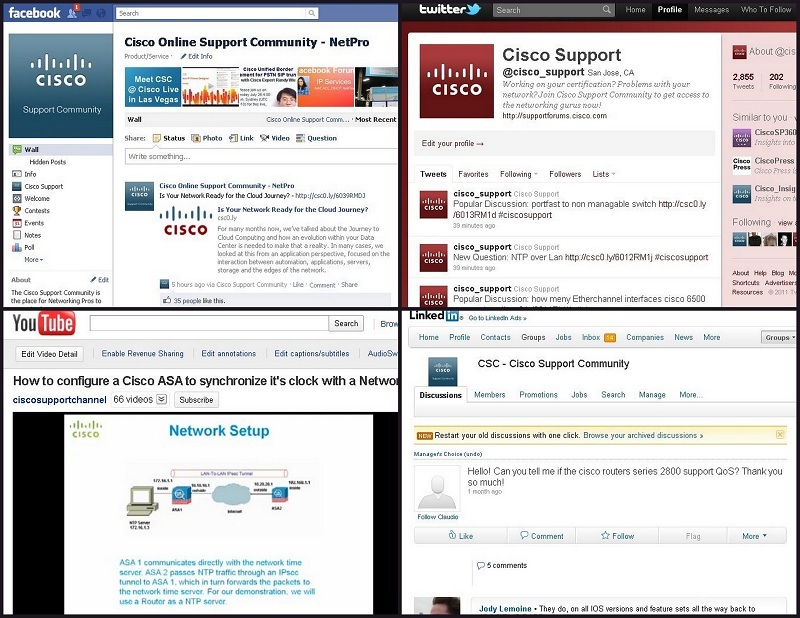 Cisco launched new technical support channels on leading social media in late 2009 to build a more social and persistent community for peer-to-peer support. These new communities on Facebook, Twitter, LinkedIn and YouTube provide direct access to Cisco experts for learning and knowledge sharing, foster issue resolution among customers, and serve as vehicles for critical technical support announcements and updates from Cisco. Since the introduction of social media technical support, the Facebook app had over 15,000 installs and 7,000 monthly active users, and 70% of Cisco users on a Facebook survey expressed satisfaction over the responses they had received for their questions posted on Cisco’s Facebook community. 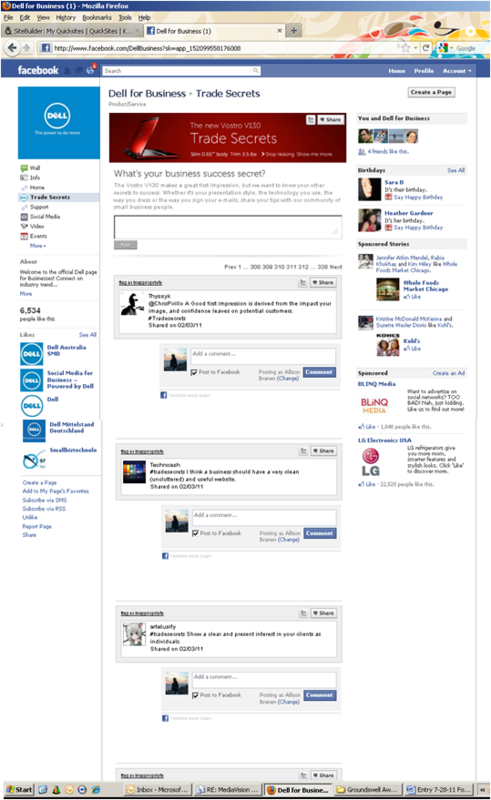 Cisco estimates that its community-based support on Facebook and Twitter is saving more than $400K+ annually. Ultimate Software’s Ideas is an online community where customers can share, collaborate, and provide direct feedback to its HR technology product, UltiPro. Ultimate’s strategy & development teams are extremely active in Ideas, commenting on customers’ ideas, providing updates, and soliciting opinions on their own ideas. Since January 2010, the Ideas Community has grown to 5,469 users, creating 1,992 ideas, with 2,456 comments and 12,374 votes on those ideas. As of July 2011, 72 of these ideas have already been implemented into UltiPro. 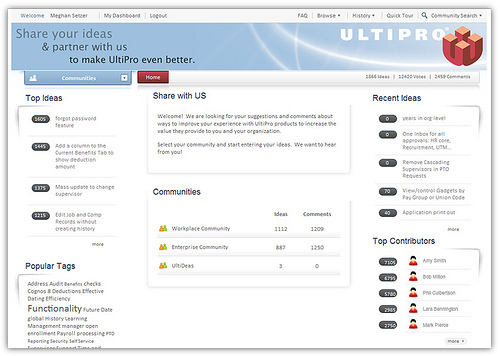 Another 35 ideas will be included in UltiPro’s next release – Fall of 2011.